When it comes to shopping this holiday season, many people are probably thinking of sticking with cash. Many people continue to cut back on spending and avoid adding to their debt, it is little surprise that credit cards are out of favor right now. However, credit cards aren’t all evil. There are some advantages to using credit cards for your holiday shopping. Here are some things to consider before you discount your plastic money. The first thing that comes to mind when using credit cards strategically is rewards. Using your rewards card for holiday shopping can help you earn cash back, points for merchandise, travel, and even for your child’s college education. Carefully consider which rewards card will be of most use to you right now, and focus on that card to rack up the freebies — to get started, check out our list of reward credit cards. Of course, in order to retain the advantage, you will need a plan for paying back the card’s balance as quickly as possible. Otherwise, the interest charges will destroy the value of your rewards. If you have some sort of elite membership card, check the policies to see whether you have price protection on the items that you purchase with your credit card. In some cases, you have price protection for 60 days. This way, if you buy something during the holidays, and then the price is slashed in post-holiday sales, you might be able to get a refund for the difference. Most cards that offers this have a limit on the size of the refund, though, and there might be exclusions with regard to online purchases or whether or not the merchant is an “authorized” dealer. 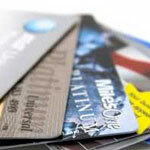 You’d be surprised with some of the protections you can get from credit cards. Check your credit card policies for “return protection.” Not all credit cards offer this, but American Express cards, and some Visa credit cards, are well-known for the policy that allows you to return items for up to 90 days after purchase. As long as you have the item in new condition, you might be able to return it to your credit card issuer, even though it exceeds the return period offered by the retailer. Find out what you will need (original receipt, etc.) and whether there is a limit on the value of the item. If you are shopping early, or if you find you got a duplicate gift, this policy on credit card purchases can help you return an item that might otherwise be un-returnable. It is also worth noting that many cards offer extended warranty protection. Be sure you have the money already: Don’t spend more than you actually have in your checking account. Make a holiday spending budget and stick to it. Keep track, using your personal finance software or a paper ledger, of what you are spending on each credit card. Pay off the balance as soon as possible: Since you won’t be going over your budget, you should be able to pay off the balance as soon as possible. Do this so that you do not accrue any interest on your purchases. Be aware of your remaining credit: Know exactly what your credit limit is, and how much credit is remaining. If you are keeping track, you should be able to avoid going over your credit limit and being slapped with large fees. Think twice before getting a store credit card: You will be tempted to get a department store credit card to save 10% or 15%. Carefully consider whether the savings are worth the higher interest, or the missed rewards on another card. If you are paying off the card, the interest may not matter, but you may miss out on some rewards to save a few bucks. Decide what is more important to you ahead of time, so that your decision is already made when you get to the store. Shopping with credit cards doesn’t have to be a bad experience, and it doesn’t have to lead to crushing debt. But you do need to show discipline and restraint when you use your credit cards in order to get any benefit. There are many reasons to use a credit card for everything. You can wrack up rewards points, track your purchases more easily and if you lose your card you can cancel it. These things are only a good idea if you are paying it off each month though. It’s a great idea. I have a cash back credit card myself and i’ve paid for holidays, car deposits, and a range of other large purchases like furniture etc on it. Providing you can pay it off at the end of each month it’s a no brainer! The trick is to keep really good records of what you are spending, and keep cash on the side to make sure and pay your bills. These advantages become costly if you don’t pay off your bills quickly. My brother always spends big during the holidays and has to cut back the rest of the year to pay off his debt. Using a card can be most helpful for a business person, especially in this season when expenses can increase while revenues may be easing off. A credit card can be a source of cash flow that will allow the business to participate in things at this time of year that would have to be excluded in certain circumstances. This is a great source of quick cash when the cash flow is tight and there is a need. I generally use credit card when I go for shopping and on vacation. I normally do not use cash. While it has several benefits, I feel the comfort you have in carrying credit card is not there when you carry currency. Paying off your balance each month is your insurance you don’t have to pay any interest. But using your card leads to great benefits if you have a rewards program. Credit cards are good if you know how to use them. I am once in a while tempted to get the Amazon card b/c of the perks, except that I just don’t want to have another bill to pay. I have been using this technique for a fairly long time now and have always made it a point to use my credit cards for holiday shopping. Even though the rewards aren’t that great, it’s still some extra discount in a way. 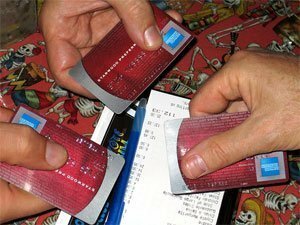 What do you suggest to do if our credit card is stolen and we only have cash while we wait for a new card. Is it better to hold off or just make the purchases and hold onto the receipts?